That’s how I felt over Christmas. I pondered so many things in my heart, wondering how it would be getting to spend Christmas here with the orphans but not spending it with my family. Would I make it through with shining colors or would I melt into a “woe is me” because I’m in a foreign country without most of my family? I guess that’s where God wanted me because He and I had such precious conversations. It’s amazing how God can minister to our hearts through His Spirit at the exact time you need it- Even when there’s a little “whine” in your voice and heart. To be honest, I made it through and had a great Christmas! It truly was a magical time even though I was missing my family. It was so much fun shopping for the orphans with Cami and Rachael and watching them open their gifts at each of their Christmas parties! I felt so privileged to be here during this precious time! Watching some of the children open their gifts and helping the others open their gifts because they had never received a gift was mind blowing. Don’t get me wrong, I’ve seen kids open gifts, but this….this was so different. I was truly blown away how the older ones were just so thankful to get shampoo, deodorant, and body wash. They are so thankful for things we just take for granted. It reminded me that everything I have is truly a gift from my Loving Heavenly Father. I realized and pondered during this time that in this life we have choices. Do I follow God or not? Do I choose to be content or miserable wherever He calls? Do I choose Him or do I choose myself? More times than I care to admit, I choose myself and my feelings. I have asked Jesus to help me to choose Him and His purpose over mine, but I have to admit, there are days that I just cave and feel sorry for myself. Then, I watch these precious children find such joy in what I think are “small” things and the joy they have every time we visit, I’m reminded that it’s about God’s love to the world through me and everyone that calls Jesus Lord. May we all find our greatest purpose in living and loving through His purposes and supernatural power as we seek His will for our lives and not our own. Phil and I left Texas, our home, eight weeks ago. We moved directly into our beautiful apartment which Cami Mather found us, went shopping for necessities with Cami and Rachael, and started our “Bucharest Bingo”; an ingenious way to help us learn to get around a city of 2 Million people and to learn about the culture. I have to admit, it has been very daunting for me! I grew up on a farm and have lived in small towns all of my life. But as God calls, He equips. I am slowly able to get out on my own and not getting too lost! A lot of people, including orphans, ask us why in the world we would be willing to leave the plush and comfort of the US and come to Romania? Especially to work with the downtrodden? JESUS. Simply Jesus. He has placed in our hearts a love for those He loves; a people He wants to call His children. My heart has not always felt this way. I have been, and can still be, a very selfish kind of person. Just ask my husband! It’s easy for me to look out for number one! I had dreams and desires that had nothing to do with God’s desires. Don’t get me wrong; I loved Him. I just wanted to live my life my way. I wanted to do what I wanted to do. I wanted to spend my money on what I wanted. I believed in missions. My oldest daughter Nicole, from the age of 7, talked about being a missionary. My sister Janet talked about being a missionary from a very young age as well and was a missionary in Japan for a summer. I wanted to help people, just on my terms. As our church, First Baptist of Rockport, started making changes on how we served, I attended the Serve Team meeting. I was already on the Missions committee with retired missionary Doc Edwards. Our church was changing some committees into Teams so that anyone that was interested could join in where they felt led. Somehow, my big mouth landed me the title of Serve Team Leader. So, I started to read every book on missions. I asked Doc for guidance constantly, to which he would so patiently answer all my questions. After all, I would need to know something as my oldest child had her heart set on missions, and I couldn’t lead a Team of something I knew very little about. Our Youth Pastor, Jordan Mims, attended the meetings and we quickly adopted him as “Our Missions Pastor”. He has a huge heart for missions and planned his first mission trip for our church to Honduras. I prayed whether I should go since my youngest daughter Brittany begged me to, due to the fact that she was too young to go without a parent. I felt God’s call to go much to my chagrin. I told the Lord I couldn’t go because I was gluten free, because my heart fluttered if I didn’t get enough sleep, because…. I had all kinds of excuses, but I gave in and went to Honduras with both of our girls. This was a huge turning point for me. We were worshiping one night at a Team meeting, and I knelt on the floor, ugly cried, and repented of my selfishness. Something happened to me that evening-I wanted to give everything-all of me to the One who loved me so dearly. I wanted to serve Him any way He wanted me to serve. My heart came alive and I knew that God was doing something new in me. When we got home, (imagine that! I survived!) the girls and I were so excited about our trip and all that had happened in our hearts that Phil and PJ went with us to Honduras the next time our church went. My whole family realized what it was like for us to serve the One we were supposed to serve, not ourselves. Phil and I started to pray about what God was placing on our hearts. It was a stirring we couldn’t ignore. We tried! We went on with our lives, kept serving at our church, ministering at our jobs, and seeking the Lord quietly. After Phil’s car accident in June 2014, we prayed more fervently. We knew God kept him alive for a reason so we started having meetings with our pastors, asking for prayer and guidance. Our children and my mom would gather with Phil and I and pray for discernment. Looking back, it was such a precious time! Over a few years, we finally had answers. 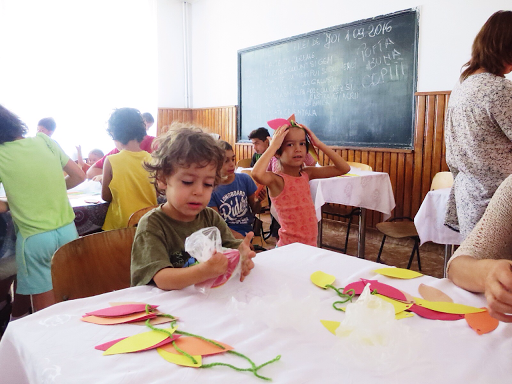 We as a church, came to Romania in 2016 and served with IMB missionaries Dwayne and Donna Brown the first summer, and then came back the next summer and helped Steve and Cami at Camp Living Water. Cami and I had a heart to heart talk and she shared with me about Stepping Forward’s Intern program. We also heard from a Romanian missionary couple that was helping at the camp who needed help and encouragement in their ministry. Phil and I looked at each other, (that knowing way between couples), and felt like this was it. This is where God wanted us to serve. It was an exciting feeling that God was finally showing us what we were to do after years of praying, and a sinking feeling too. Leaving our families would be hard. But God reminded me that He is to be worshiped. Not my family. Him and Him alone. So, here we are! In Romania! Sometimes, I feel it should be harder. I know we will have hard times - It’s part of ministry and life in general, but I feel like I should be struggling more, (granted I’m struggling with not having a great sense of direction) but in my quiet time with Jesus, I asked Him if it was wrong to be ok. To be doing good. You know what I felt in my spirit? It’s Time To Dance!! I’m in God’s will and I’m here serving Him full time. It’s my Dream Job! So, with Jesus right by my side and me by His side, and with the precious prayers of friends and family, we are doing Great! So, please keep praying for us because they are working! We are so very thankful that God uses willing vessels for His Glory. To God Be the Glory!! Our crazy FBC Rockport Team at Camp Living Waters, July 2018! Hello! My name is Sarah Finnie and I am interning with Stepping Forward Ministries during this fall. 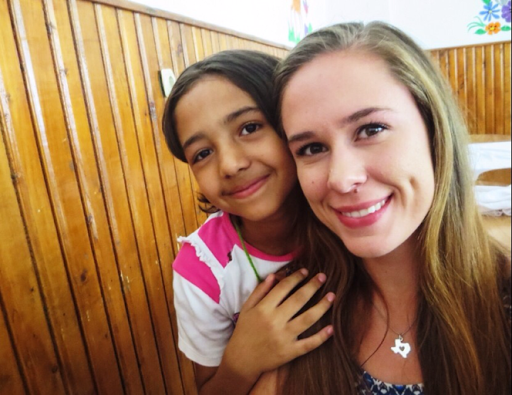 I am a senior at Gordon College in Boston, MA and hope to continue to work with children on the mission field when I graduate. 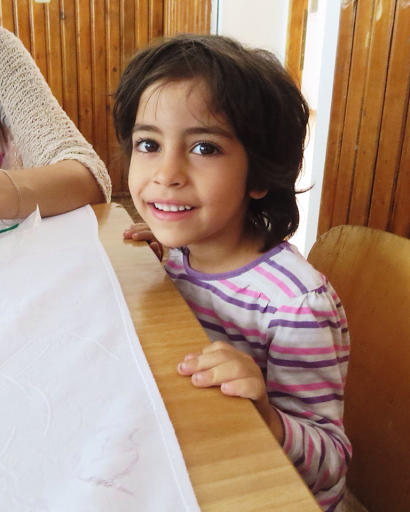 Below are some thoughts from my first few weeks of visiting one of the orphanages in Bucharest. I don't speak Romanian. Sometimes I even question my ability to speak English when I'm especially tired. But I've been learning a few things about how to communicate with and love children well even if you don't speak the language. Little ones are the easiest to connect with. Smiles, hugs and thumbs up when someone does a good job always make sense. Teenagers are harder. You want so badly to be able to have a conversation with them but settle for hand gestures and laughs when you don't understand. You are loved. You are important. I see you. But most of all, God sees them. He knows the heart of every child in Romania and in the world. God knows the hurts that they have experienced and he cares more than we could ever imagine. My greatest hope when working with kids is that a child is able to experience the love of God through me. What an incredible blessing it is to be used by God. The fact that he desires to include us in the story of redeeming the brokenness in this world will forever leave me in awe. Today, I wanted to write about something that happens to many people. Waiting. Waiting is commonplace, even in the fast-paced world we live in today. Over the course of an average lifetime, a person spends about six months waiting in line. And that's just physically waiting. About a month ago, I found myself in one of these awful waiting periods. I had just come off the physical, mental, emotional roller coaster that is camp and I was eagerly awaiting the start of fall ministry. After About two days of downtime, I felt that I was fully recovered from seven weeks of working at camp and ready to take on the next chapter. Well, God had other plans. A couple weeks went by and plans fell through and ministries didn't answer emails and calls and I was...still waiting. Other than a few apartment and orphanage visits, I had nothing on my calendar approaching except a trip to Greece on September 8th. And it was August 20th. And I was tired of waiting. You see, I am the kind of person who enjoys being busy. Not the stressful, I-don't-even-have-time-breathe kind of busy, but the kind of busy that fills my days and keeps me active. But God, as usual, threw me off by having me just wait for those few weeks. And now, I am at the point where I am grateful for that period of idleness. In case you don't know, or are like me and forget, God knows everything and He always knows what's best for you. And if you end up in a situation that is uncomfortable for you or challenging for you, He will bring you through it. You may not see it at the time (like me), but He is present even in the hardest and loneliest of times. Unlike everything else in this life, He will never leave us or forsake us (Deut. 31:6). Hello everyone! I hope you're all adjusting to your fall schedules as school starts back and everybody starts getting busy again. :) I am currently in my second week of fall ministry here in Bucharest, but I'll only focus on the first week for this post. It's nice to be writing here again, and us interns will be updating regularly this fall. The beginning of my week (last Sunday) was a rough day for me. I was uncertain about fall plans and we were going to visit the orphanage, and I just was not in the right frame of mind to go there. You see, going to the orphanage is hard in many ways. First of all, it is located in a very impoverished area of Bucharest called Ferentari. Ferentari is mostly slum-like apartment buildings and run-down stores. The people you pass on the street look desperate and sad. When you get to the orphanage, it's surrounded by a twenty foot wall...not the most welcoming sight. There's graffiti and it overall does not look like a place for children. "...in love, He predestined us for adoption as sons through Jesus Christ, according to the purpose of His will, to the praise of His glorious grace, with which He has blessed us in the Beloved. In Him we have redemption through his blood, the forgiveness of our trespasses, according to the riches of His grace, which He lavished upon us, in all wisdom and insight making known to us the mystery of His will, according to His purpose, which He set forth in Christ as a plan for the fullness of time, to unite all things in Him, things in heaven and things on earth." What a great passage. It came as a breath of fresh air that Monday morning and I have had the most encouraging week! Monday and Tuesday, my new roommate Sarah and I explored Bucharest a little bit, since she just arrived last Friday the 19th. Wednesday and Thursday, we visited the kids who are in apartments. Only four apartments total, because we aren't allowed to visit some of the kids until school starts back September 12th. It was really encouraging to have conversations with these older kids and hear that they all finished school and passed their grades. Thank you guys for reading this update! I can't wait to continue posting here this fall throughout my remaining time in Romania. Hey everyone! It's Ruth again... and unfortunately this is the last time I'll be writing to ya'll this summer. It's been insane how time has absolutely flown by here - and I only have three more days left of this particular Jesus adventure! Because my time is growing short here, I feel this intense need to proclaim each and every lesson that I have discovered under the guidance of my Savior. But every time that I seem to compose a few paragraphs attempting to convey the thoughts He's laid on my heart, the words become my own. So, rather than overwhelming you with lessons that I've only begun to scratch the surface of for myself, I'm going to tell you the simple truths that He has given me the words to explain. My prayer for the time spent in Romania was to see Jesus' face from this country. Have you ever looked at a prayer after a while and realized just how small it was? Because that's what I've been realizing over these past days... my original prayer was so small. I wanted to see His face. But. I haven't just seen His face - I've seen His smile in the laughter of the gypsy children of the Scoala Rut (Ruth School). I've smelled His sweetness in the wild flowers on the side of the road we've driven from the city to camp. I've felt His very breath in the wind of the mountains surrounding the camp we've worked at to prepare for this summer. I've sensed His heart break over the broken hearts of the begging children under the city bridges. Each and every day has revealed more of His character than I have discovered before. Let me be completely transparent for a moment... I have known about the Lord since my earliest childhood memories - and when that knowledge finally turned into a real and personal walk with Him, I loved Him passionately. But I've discovered that as each and every day reveals more of His character, my love for Him in the days before appear as nothing. I am tempted to say that I've fallen in love with this country and the people that inhabit it - but that wouldn't be true. To me, to fall is to suggest that you have no control over your actions. It implies that you sort of tripped into loving someone or something. And that isn't the case with this country. I haven't fallen into anything. I've walked decidedly further into love with this place and these people more and more day by day. And you know... the reason that I have been able to walk further into love is because I've walked further into love with the Creator of this place and these people. The truth is... without knowing the characteristics of Christ, I don't know love. My prayer at the beginning of this adventure was to see the face of Jesus from Romania. I already have told you that He has revealed so much more than His face... I've seen His heart for His people. Without knowing Him, there would be no way that I could claim to have walked into love with this place and these people. But because I love Him... I love them. Day by day I will pray to see the face of Jesus. Day by day I will cling to the Provider of any smile, breath, or heartbreak given to me. Day by day I will serve Him. Day by day I will praise Him. Day by day I will love Him. I have 2.5 weeks left in Romania before I go back home. When I was in Rome and I spoke about going home, it meant going back to Bucharest. Now that I am in Bucharest, home means Richmond, VA. It has been so nice traveling to a place that I can refer to as home. The people I have met while in Romania have made me feel utterly and completely at home. Since I last wrote to you I have been to Rome on a magical three-day break, back to camp, to the Ruth School, and to Carturesti, a cute little bookstore in the middle of town. Rome was incredible if you were wondering. It reminded me that the world is full of beautiful things. It is easy to forget that simple truth today, when the media continuously tries to convince us that the world is full of evil and humankind is only capable of doing ugly, malicious things to one another. I mean how many times have you heard someone say, “The world is worse off than it has ever been before”? When in Rome, you do as the Romans do. And the Romans eat pizza and gelato and laugh and smile and enjoy the beauty in life. I want to live my life everyday as if I’m in Rome. I have learned that everything you do is part of your ministry. Some days you get to be movie stars and play with kids and help them learn a poem, hold their hand and hug them. Those days are the best and they definitely make you feel all warm and good inside. But other days you have to be behind the scenes and buy construction paper and get paperwork from the DPDC, exchange money and take your car to the shop. These things may seem unworthy of the title “ministry”, but it’s exactly what they are. We needed the construction paper in order to do crafts with the kids at the Ruth School. We needed paperwork from the DPDC to even work with kids at all. We needed to exchange money because the donations that keep the non-profit running come mostly in American dollars and not lei. We needed to take the car to the shop because it gets us to camp, where hundreds of neglected and orphaned children will get to hear the gospel this summer. The mundane things that can often be seen as errands are essential to an organization’s ministry. I think that’s how God keeps us humble. Some days we are the movie stars and other days we are just another person on set. I learned that there is beauty in both. I went to the Ruth School today- definitely one of my favorite days here. It was instant connection, when the other interns and I walked in the door. The kids came running up to us, immediately hugging us and wanting to show us their most recent drawings. The kids showered us with hugs and kisses and “I love you”s. They were desperate for love and kindness. Many of them are neglected to various degrees at home and do not get enough cuddles and affection. Nancy Thomas writes in her book When Love is Not Enough, that humans need eight hugs a day to maintain emotional stability. Today I become more aware of the importance of human touch and the inner desire that we all have for affection. Hi everyone! This is Maria. The last time I posted I gave you all a practical run-down on what I've been doing here in Romania. Today I want to share about one of the topics I feel like God has been teaching me about...spiritually and emotionally speaking...through this past week and a half. It's anxiety. I don't mean anxiety as in a psychologically diagnosed disorder in which one lives in a constant state of borderline fear and is plagued by irrational phobias. No, instead I'm referring to the kind of anxiety over getting your volunteer visa (current struggle of mine), overcoming a language barrier, and just the general tasks and minor trials of day to day life here as an intern. I wasn't new to this kind of minor anxiety/worry before coming to Romania. I'm a planner, maybe a small bit of a control freak. So I enjoy knowing exactly what I'm going to be doing at exactly every hour of every day in every month of every year...for the next 15 years. :) All that to say, when my plan is not God's plan, you can see that I feel a little bit of stress as I attempt to trust Him and HIs timing for my life. I would also venture to say that even if you aren't a planner/super organized person, you've experienced stress, worry, or anxiety before. In fact, I believe that it's part of human nature to want to know what will happen in your life. We crave knowledge. And when we don't have the knowledge we think we need (because God hasn't revealed His plan to us), we feel tense, nervous. Anxious, to use my theme word. :) But that's not how God wants us to react. “Therefore I tell you, do not be anxious about your life, what you will eat or what you will drink, nor about your body, what you will put on. Is not life more than food, and the body more than clothing? Look at the birds of the air: they neither sow nor reap nor gather into barns, and yet your heavenly Father feeds them. Are you not of more value than they? And which of you by being anxious can add a single hour to his span of life? And why are you anxious about clothing? Consider the lilies of the field, how they grow: they neither toil nor spin, yet I tell you,even Solomon in all his glory was not arrayed like one of these. But if God so clothes the grass of the field, which today is alive and tomorrow is thrown into the oven, will he not much more clothe you, O you of little faith? Therefore do not be anxious, saying, ‘What shall we eat?’ or ‘What shall we drink?’ or ‘What shall we wear?’ For the Gentiles seek after all these things, and your heavenly Father knows that you need them all. But seek first the kingdom of God and his righteousness, and all these things will be added to you. Therefore do not be anxious about tomorrow, for tomorrow will be anxious for itself. Sufficient for the day is its own trouble." I'm sorry that was such a long passage, but please take time to read it. Through effective literary devices like rhetorical questions and relatable examples from nature, Jesus presents the solution to the constant problem of worrying over everyday issues. 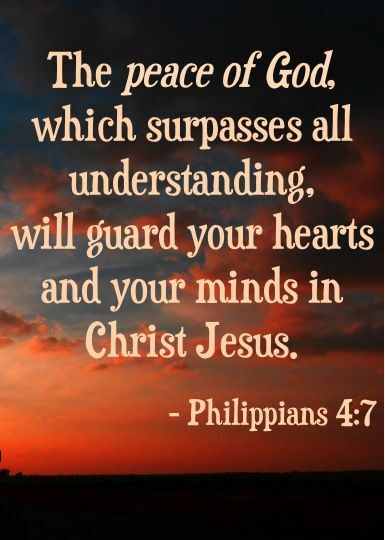 That solution is peace from God, peace that passes all understanding (Phil. 4:7). "Therefore humble yourselves under the mighty hand of God, that he may exalt you in due time, casting all your cares upon Him, for He cares for you." To conclude, I challenge you to simply pray about any worry you may have in your life. Pray that God would relieve/free you of the burden of unnecessary worry. It may be remarkable to you (as it was to me this past week) how tangible the feeling of peace is after surrendering your problems to your God. Hey guys! It's Ruth again. The last time I spoke to ya'll it was on the topic of praying that the Lord would let me be someone who spent her moments "soarin' & flyin'" as I figured out what "adjusting to the altitude" looked like here in Romania. Lt's just say, it's been one incredible adjustment after the other. (And I mean that in the absolute best possible way!) It's been both a challenge and a blessing to be on the look out for the Jesus lessons throughout all of the days I've been here. Which. I mean, I've only been here 9 days. It's bizarre to me how it feels like I just arrived and somehow also feels like I've been here at least a month. :P But enough about that, I'm here today to tell you about what I've discovered is my main adjustment to the altitude. And the best part is that it's also been one of the main lessons the Lord has been speaking to my heart! So, what's the main adjustment? Hopefully you've gotten a hint from the title, but just in case you haven't, I'll tell you. I have been overwhelmed by the simultaneous beauty and confusion of the Romanian language. I know how to say the basics - as in a greeting and a how are you. But other than that, I've been pretty much in the dark. I spent the first day... who am I kidding... I've spent the first week stumbling around and desperately trying to pick out words that sounded familiar. You know, it's a humbling experience to be an 18 year old who can't carry on a conversation with a 5 year old. To be quite frank, I don't think I truly recognized the true value of words until I couldn't use them. I got super wrapped up in just trying to understand - or figuring out a way to somehow carry myself in a manner that would make me look like someone who knew what was going on... when the reality was that I didn't have a clue. So, Maria and I were at the mall yesterday. We had been completing some intern challenges around the city and decided that on the way back to the apartment we'd stop for some shawarma. *Side note: I'm pretty sure I will become a shawarma addict... words don't do justice to how delicious that stuff is. * As we're going up to order, I asked Maria the right words to say to place my order for the shawarma. She told me exactly what to say and I made a point of repeating the phrase in my mind a few times before getting up to the counter. I kid you not, the moment that the woman looked up at me for my order I forgot everything expect my name. I opened my mouth, but no words were coming out! Thank heavens Maria was still standing there and was able to complete my order for me as I stood there. I paid for my food, was handed a tray, and then was asked to move down the counter. It was in that moment that I realized that shawarma is a process... and you have to tell the people the various ingredients that you want in your shawarma. My heart sank again. I looked at Maria and asked what the word for "tomatoes" was in Romanian. She smiled and answered me. This time for sure I was going to say the right thing! It was one word. One word. Just to be safe I practiced it in my head a few times and then whispered it out loud. The man turned to me and asked what I wanted on the shawarma... and before I had even realized it I had pointed and said, "Tomatoes!" It was one word! Maria had just told me the correct word and I had even practiced it a few times before he asked me. But the moment that I was actually asked what I wanted, the first time I was tested on the information that I knew, I responded in my native language. Now, as much as I enjoy telling stories about my stupid moments, there really is a Jesus lesson tucked into that shawarma tale. I was born a sinner. My native language is the language of the flesh - and I speak it embarrassingly well. I'm fluent actually. Whenever I'm faced with something new or something that posses a challenge, my automatic response is to reach for the reply in the language I've practiced and know best. Man, this is harder to write than I was expecting. But I guess it's because I'm attempting to write this in a language that isn't my native tongue. I'm attempting to write this in the language of the Spirit. That's why I'm here after all. I'm here to learn how to speak another language. A language that is beautiful and sometimes confusing. A language that leaves me clinging to the basics. A language that I've stumbled in the dark trying to find. A language that leaves me more humble than an 18 year old that is unable to carry on a conversation with a 5 year old. A language that gives true value to words and doesn't give me the option of pretending. It's not the Romanian language though... it's the language of the Spirit. Wow. I'm pretty disgusting. But I finally get what I'm supposed to be studying! Lord, I want to reply in the language of the Spirit! That's what you have for me. I want to put into practice the language of Your heart that is pure and not the language of my heart that is gross. I want to become familiar with Your phrases. Gracious, what a glorious day it will be when the language of my heart matches the language of Your love. I doubt I'll be fluent this side of heaven... but hey, a grammar lesson now and then wouldn't hurt? Haha, I love you Lord. Let me be attentive to Your voice - let me be attentive to the language of my heart. The language of my Spirit. Hey there everyone! My name is Ruth Bradham and I am interning with Stepping Forward Ministries for a month of this summer! It isn't quite as long as some of the other sweet souls that will be writing on this intern blog page, but in the time that I've been here, it is evident that there will be a lot of adventures to write about. The plan for my hands and heart is to be in the city of Bucharest, Romania the majority of the time - but, like these past few days, there will be times that I will travel to the camp located in the countryside of Romania. I figured that I'd start my blog posts by telling you about the first Jesus lesson that I've learned... which, actually occurred on the flight from Munich, Germany to Bucharest, Romania. As the airplane started speeding down the runway, I couldn't help but think of the last nine months that this trip and mission had been on my heart. Those nine months seem to have raced by, just as the runway was racing outside of my window on the plane. Every confirmation from the Lord speeding up the time just like every second on the plane sped up it's momentum down the runway. Then came the take off of the plane, which of course reminded me of that exact moment in time. A plane doesn't get off the ground without a few bumps, just like a true mission doesn't get off the ground without a few bumps. But. That's when it hit me... when I hit the ground in Romania, I needed to be prepared for some "adjustment to the altitude". The next few days were going to send chills down my spine and my stomach on joy rides. Heck, there would probably be a season of questioning why I was in Romania in the first place with all the discomfort that adjustment brings... but you know, then I realized... planes even out. You reach a time in every flight that the chills slow down and your stomach goes back to where it should be. And it's in those moments that I feel closer than every to my Jesus. All I had to do was trust Him during the "adjustment to the altitude" part of this journey. If I would remember that staying in constant reminder of surrendering in the spirit, not in the flesh, my turbulent feelings would even out eventually. 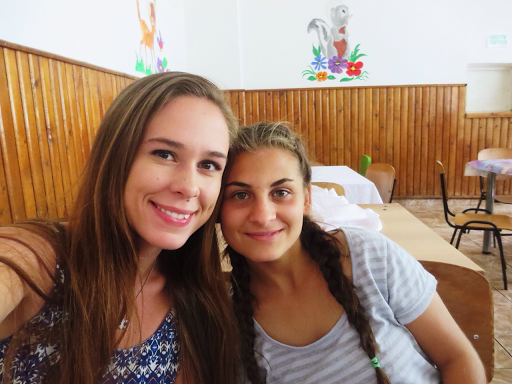 I landed in Bucharest on Tuesday the 24th of May with a fellow intern and friend named Maria. I've been in Romania for 5 whole days... and I can say that there was certainly a time of "adjustment to the altitude". But knowing that going in made it so much easier!! I landed in Romania with the prayer of surrender in the spirit... and of course, I'm human, I've had some chills down my spine and my stomach definitely took a joy ride the first time I got on the Metro system in this city! But! I knew it'd even out - because I know my Savior has it all in His hands. I would love to end this post with a prayer, so I hope these words resonate in your heart!! It's your daughter speaking. I just want to surrender any future waves of "adjusting to the altitude". You created me to enjoy every moment You give me for soarin' and flyin'. I want to enjoy those moments! I want to see Your face and smile throughout every day I'm here and all the days after I leave. Father, I surrender all control and desires for this mission. I surrender my expectations for how well or not well I'll continue to adjust. I surrender my ability to communicate - because, let's be real, I'm not the best when it comes to languages. I surrender my family and friends who are praying for me back home. I surrender this ministry that I'm interning with and all of those precious people that I've met already! God. None of this really was in my hands to begin with... but I just want to make sure my hands are empty of anything I could be holding. Jesus, my hands are empty. Please give my Your dream. P.S. I actually took the picture that's connected to this post - I didn't search for something on Google images. So. Just throwin' that out there. Hi! My name is Maria and I'm an intern here at Stepping Forward MInistries for six months. I got to Romania Tuesday and this weekend I spent Thursday to Sunday morning at camp with Steve, Cami, and fellow intern Ruth. We had a very productive time, and I can't wait to share with you all about it. We got in to camp Thursday afternoon and got oriented. Friday morning we got up pretty early and started to work. There is a super long list of things that need to be done in the next 5 weeks before camp starts. The first thing Ruth and I did was saw boards to a length of 60cm to make shelves for the new trading post. It's in a different spot because the old trading post is now my room. :) It's super tiny but I have my own space and I love it SO much! After we sawed 33 boards total, it was time to nail the shelves up. We luckily have a nail gun at camp, so the task was made a whole lot easier. The power associated with a nail gun went straight to our heads, and we enjoyed this task immensely. The rest of the day, we did lots of other jobs. We cleared out the tractor barn, moved all the usable items to different locations, threw the junk away, took the six huge water barrels out of the water tower for cleaning, organized the trading post, and other odd jobs. It was a busy day! At night, we took some time to rest and read. It was very nice to stretch out after a long day's work! Saturday morning we took a trip into a nearby city called Panciu to go to the Saturday market. This market sells everything from clothes to chickens. We bought fresh cherries and strawberries to have with lunch that day. They were so juicy and sweet. When we got back to camp, we had two main jobs to do that afternoon. We strung wire through over 100m of pipe for plumbing and used the sawmill to saw 6 logs and 18 posts. It took about four and a half hours to finish all that. Sunday (today) we drove back to Bucharest! This afternoon I'm going to be making my schedule for the coming week, which will include visiting all the childrens' apartments, the orphanage, the Ruth School, and of course working on my intern Bucharest Bingo and notebook. If you were wondering, paperwork takes FOREVER in Romania. Think about the time you wait in line at the DMV in America, multiply that by four, and you are getting close to how long and arduous the process is here. Cami has been trying to get the paperwork that allows us to work with children for about nine weeks. Yes, nine. And this week we finally got it!! Many of the government buildings here do not have parking lots. If by some chance they do have a parking lot, it is usually for the employees and not the general public. There is also no place to sit once you get inside of the building even though you quite possibly could be waiting for hours. I definitely counted it as a cultural experience. Romanians are not driven by time the same way that Americans are. Many Romanian families do not even have clocks in their homes. The world moves at a different pace over here. I have also rediscovered grace in these past three and a half weeks. I have heard the word grace everywhere. Cami and I were talking in the car one day about how understanding the grace of God is such a freeing experience. Then I went to an international church and the first song we sang was about grace. In addition they were starting a new series that Sunday on (you guessed it) grace. God gives grace when you miss home and the Mexican food that your dad makes. You find grace when you deal with difficult people in government buildings. There is grace when you are faced with a tough decision, when your car breaks down, and when people spit in your face over and over. God is so much bigger than you and me. I found God at the symphony. The same God that created music loves us and desires a relationship with us. The same God who gifted those musicians also gifted us with different talents. Everyday is another day to find God and see the grace that He gives. It is hard to be a missionary, especially a missionary in Europe. The average time for missionaries to live in Romania is three years. Why does it work for some and not for others? There is such a balance involved. Cami was explaining that you have to be somewhat closed off to the emotional side of things. When you see so much poverty and abandoned children and women in trafficking situations, you have keep it together or you will have a breakdown. We are not meant to handle all of those horrible situations and take each one to heart. However, at the same time you have to keep your compassion. Your heart for the people cannot become bitter over time. God offers grace for this balance. He offers grace when we mess up and when we think that the world is all about us. I am so thankful for the grace that He constantly offers. I have been in Romania for just about three days now. It still does not quite feel real, but I know everything will sink in soon. When I walked to the car from the airport and looked around, I remember thinking, “This is going to be my new home for the next 2 months.” I was filled with excitement and a little bit of nerves. The unknown is always a little scary. When we arrived to Bucharest, I got settled into the apartment where I will be staying and then everyone headed to Cami and Steve’s apartment. There is a beautiful park down the street from their apartment, where we stopped and ate papanasi, a famous Romanian dessert that is similar to a donut hole but with sour cream and jelly on top. In addition, May 1st in Romania is Easter Sunday, and Cami and Ana had prepared an Easter feast for us to eat when we returned from the park. We picked a great day to come, right? We sat in the living room and ate sarmale with mamaliga, salata de vinete, salata de boeuf, oua implut, and cozonac. The next day we gathered our bags and made the drive to camp, about three hours from the city. We started work soon after with a couple of people working on insulation, Steve on the roof, and Cami and I helping Steve in whatever ways we could. Soon we had visitors. Teenagers from the nearby town came and asked to have a barbeque at the camp. They set up the grill, turned on some music, and danced, talked, and enjoyed each other’s company. It did not take long for a few of the boys to ask Cami if they could help with our ongoing projects. They were having a fun day with their friends, and yet they chose to volunteer their time to help Cami and Steve. My first real day of work in Romania, and I had already met a large group of teenagers and seen what they do on an average Monday afternoon. It was a different experience having people the same as me around and not being able to talk to them easily. But communicating was not as hard as you would think. I had Cami there to help me, and hand gestures really do go a long way. In addition, a few of the boys spoke English rather well. Before I left the states, I did not spend much time thinking about what my time in Romania would be like. I was in the middle of finals at school and all I was thinking about was getting through them without killing my GPA. The night before I left I was thinking about fitting everything I needed for two months away from home into my suitcase. It wasn’t until I got on the plane that I started to think about what was actually happening. I was on a plane to another country, where I do not know the language, for two months. “What if I get homesick,” I thought. And “What if I don’t like it and want to go home?” What had I actually gotten myself into? But I’m glad I had these thoughts when I was on the plane, because at that point there was no turning back. I’m glad that I did not give myself time to doubt or question. The really cool thing about God is that he is Emmanuel, God with us. How often do we forget or ignore the simple truth that God is with us? I think if we were constantly aware of God’s presence in our lives we would take more risks, and doubt less. Cami was telling me that some people come here expecting to possibly become a full time missionary, and then realize it is not God’s plan for them. This does not mean that they failed. On the contrary, it means that they are one step closer to finding out God’s plan for their life. God uses our so-called “setbacks” to our benefit and brings us one step closer to Himself. Therefore, I am so expectant of things God wants to show me through being in this country, through my time with Cami and Steve, and through the amazing people that I will meet. In conclusion, I would like to encourage you to not let the unknowns keep you stagnant. If you stay in the same place and do the same thing for fear of the unknown, what is going to change? Even just taking a step forward is enough for God to do powerful things.